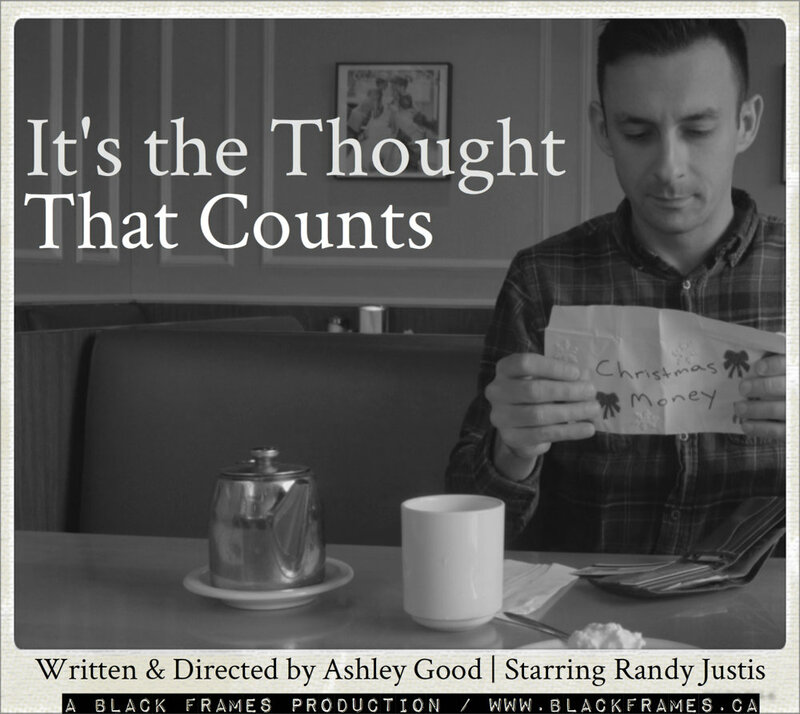 I have been waiting to release my holiday themed short, IT'S THE THOUGHT THAT COUNTS, since it screened at CineVic: Society of Independent Filmmakers's Film Festivus event. Long story short, because of a false copyright claim on Youtube that won't be resolved until Dec. 31 (already won it once... but then I re-uploaded the video), I only have the "mostly" finished version to show you. Thankfully, the changes between this version and the one that screened are pretty minor. I don't want to wait until after Christmas to release my Christmas film though, so, without further ado, here it is! *Okay, one more "ado!" I would like to thank The Patch Victoria and the restaurant at Paul's Motor Inn for allowing us to film at your locations. It's the Thought That Counts wouldn't be what it is without your locations awesome lighting and atmopheres.